Since compilation of SGGS (Sri Guru Granth Sahib), the untapped treasure for enhancement of human life has remained a mystery shrouded under shadow of questions raised by manmatt (an impure mind that follows itself) of manmukh (a life lead by impure mind). We must stay clear of shadow of questions lurking on the treasure of SGGS that holds unlimited potential to open higher dimensions of human life. In higher dimension of life one becomes aware that survival is a primitive instinct whereas seeking eternal truth that holds the existence as one is primary reason of human life. Most of us fail to see infinite potential of human life, whereas Sikh gurus clearly saw it and lead by example inspiring us to rise to that potential, one step at a time. 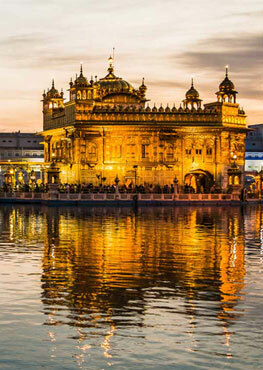 Guru Nanak Dev ji, upon coming out of Beni River after three days uttered "Ek On Ankaar". At that point Guru's journey was complete as he had become one with God. In other words, Guru Nanak Dev ji at that point in human body had become an infinite being, realizing highest potential of human life. Why Guru Nanak Dev ji would return to humanity at this point and share his inner journey so vividly and eloquently in SGGS? Guru Ji saw the same potential in all of us in form of the "Jot - inner wisdom" that covered with dirt of our karma fails to shine in our life so that we can also realize and live from infinite potential of human life. Guru Ji had faith in all of us and cast no doubt in our capability to travel from a place of darkness to light, from a place of Manmukhta to Gurmukhta. If we were incapable of such a journey, Guru Ji would have never returned for us. How can we break trust of Guru Nanak Dev ji placed upon us by doubting ourselves reflected in statements like, "I am no saint", "I understand what SGGS teaches, but I have to raise family and live in this world." Such statements and other, are excuses of a mind sickened by traits of manmatt. Knowing that SGGS is a beacon of trust raised by Gurus and Bhagats, should remove all our self-doubts to see the equal grace bestowed upon us. We are all equal at our essence like 1000 watt shining bulb. Our essence is covered with dirt of layers of Karma that blocks our inner light from fully shining, thus making us appear to have different potentials as Human beings. It seems, we the Sikhs spend more time in convincing others about the greatness of SGGS, rather than experimenting with the methods provided in SGGS at a personal level by implementing to bring about an inner transformation as evidence of greatness of SGGS. Greatness of SGGS lies in its potential to enhance human life on day to day basis where by the imperfect world we dwell in becomes the greatest perfection created by God, permanently relieving us of all suffering that appear to emanate from our interactions with people, situations, systems and environment. Inner transformation of a Sikh is many folds more powerful than million words devoid of personal experience. (Galli jog na Hoye) When our inner transformation speaks for itself, others are naturally inspired to listen to profound words of wisdom coming from depth of transformation as a result of inner change in our thoughts from Manmukhta to Gurmukhta. This takes away the need to convince others about greatness of SGGS and Sikhi. Let us empower others by empowering ourselves by being embodiment of SGGS. We need to be courageous at personal level in order to rise collectively as Sikhs to keep alive the Panth, to be free of worry about demise of Sikh Panth. A path can only be preserved by walking on it. A path that is not traveled is meant to vanish over time. Sikhi is such a path that be preserved by living it every moment of daily life. The Sikh Panth can remain alive when we as Sikhs walk the path walked by our Gurus as described in SGGS. Fruits of following SGGS as Guru is are instantaneous reflected as vanishing of duality of mind that inhibits our ability to make better decisions that enhance our personal, family, work, and social lives. Our each thought is a step on this path. With our thoughts we choose our path that manifests as our action or Karma. 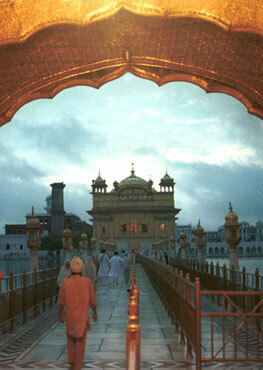 The path leads to eternal bliss is that of Guru. When we decide to choose thoughts that follow Guru's guidance a mind that has been following itself for eons starts transforming from Manmukhta to Gurmukhta. This inner transformation is embodiment of SGGS greatness that makes manifestation of Guru's light inspiring others without any need to convince others of greatness of SGGS and Sikhi. Rather our spoken words becomes a song of guru, filled with virtues of the "Jot - inner wisdom". Thus one is engaged in eternal Kirtan as praise (Kirti) of Guru while doing worldly things. One may ask what method or healing modality I need to become true embodiment of SGGS in my thoughts and actions, ultimately leading to realization of infinite potential as Human being? How can I bring about permanent inner transformation that remains beyond my physical existence? Let us refer to a Bhagat Ravidas ji Shabad to find the answers. All shabads in SGGS are ocean of wisdom that upon comprehension (Shabad-vichar in Satsang) brings to surface essence of the Shabad in form of wisdom as stated by Kabir ji (Ang 478 SGGS) in following Shabad. For a Sikh, Shabad-vichar is the method or healing modality as provided by SGGS. Churn The Churn Of The Lord, O My Siblings Of Destiny. This shabad reveals purpose of human life and how purpose of human life can be fulfilled. The tool to extract wisdom from shabad (tatt belovo) is our innate ability of comprehension (Shabad-vichar). Ability to think of what we pay our attention to is our innate nature in order to understand things to bring about clarity to move forward in direction of realize our infinite potential as human being. Though it is our choice to choose what we want to pay attention to and thus think of and become that. It is clear we are exactly what thoughts we chose in past. This means we do have a choice to choose thoughts when guided by a Guru. Bhagat Ravidas ji using example of vegetation that bears fruits illustrates purpose of human life that supposed to bear fruit of inner wisdom leading to salvation or mukti (infinite potential of human life). Without flower, there cannot be any fruit, which in turns requires a plant. When the fruit is produced, the flowers wither away. Thus, purpose of vegetation to bear fruit is served. which in turn requires human life. of our true essence (Jot) as infinite potential as human beings. Without putting into practice Guru's teachings to purify our actions by choosing thoughts guided by Guru, fruit of inner wisdom cannot be realized. When inner wisdom wells up, at that point actions or Karma is vanished, as our thoughts and actions are fully aligned with Guru. Our misguided thoughts and actions, as guided by our Manmatt cannot lead to inner wisdom, unless we follow Guru in our actions through implementation of SGGS at personal level duly reflected in our personal thoughts and actions. Inner transformation from Manmukhta to Gurmukhta is a subtle process that requires Guru's Grace in form of Guidance as provided by SGGS. Based on my personal experimentation by Grace of Guru, I would summarize the steps as under. Live life from its infinite potential reflecting embodiment of SGGS. that comes in contact with you! Header Image: sikhexpothe artist's canvas beautiful artwork by @kashu_nuts that captures the interior of Sri Harmandir Sahib Ji that was inspired by artwork of William Simpson in the 1800s.